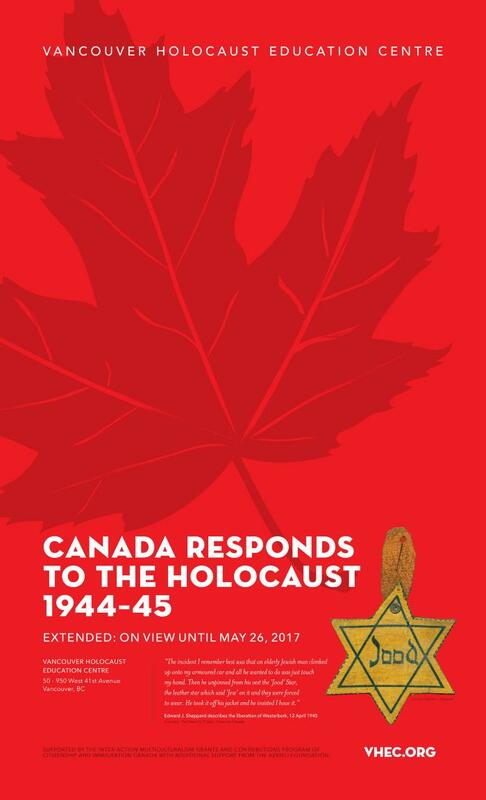 DescriptionCanada Responds to the Holocaust, 1944–45 explores interactions between Canadians in Europe and survivors of the Holocaust at the close of the Second World War and in the immediate postwar era. It follows members of the Canadian military—soldiers, chaplains, official photographers and war artists—who fought in the Allied campaigns in Europe, as well as journalists and aid workers, as they encountered and struggled to respond to evidence of Nazi atrocities. With special thanks to Canadian Jewish Archives (Montreal), Historica Canada and the other institutions that offered assistance: Canadian War Museum (Ottawa); Library and Archives Canada (Ottawa); Jewish Heritage Centre of Western Canada (Winnipeg); Jewish Museum and Archives of British Columba (Vancouver); Jewish Public Library Archives (Montreal); Ontario Jewish Archives (Toronto); Ottawa Jewish Archives; Shalom Branch #178 of the Royal Canadian Legion (Vancouver); Yad Vashem (Jerusalem, Israel); United States Holocaust Memorial Museum (Washington, DC). And thanks to these individuals: Tirtsah Levie Bernfeld (Netherlands); Peter Moogk (Vancouver); Ian Penn (Vancouver): Katie Renaud (Vancouver); Edward J. Sheppard and family (Victoria and Vancouver); Colin Upton (Vancouver).